ADRC was founded in 1998 in the country of Singapore. Rising from its humble roots as a computer service provider, it is now the leading centre in South East Asia proving data recovery work. With years of experience, coupled with continually acquired knowledge and skills essential to data recovery, ADRC offers a wide range of data recovery services. The data loss cases received by ADRC are as wide ranging as there are data storage media devices. In fact, ADRC stocks more than 1 million worth of hard disk parts alone, as well as proprietary tools and has handled more than 30,000 jobs as at 2007. With its own full fledged class 100 laboratory (a standard used by hard disk manufacturer as well), ADRC is committed to provide quality data recovery services. ADRC also treats the data confidentiality of all jobs seriously. ADRC also provides a secured online database whereby customers can view their job progress any time and anywhere. 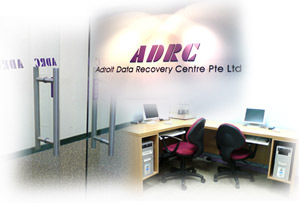 In fact, ADRC is one of the few, if not the only data recovery service provider to do so in Singapore. We also have customers from Government Ministries in Singapore, as well as international MNC’s, commercial banks and more. Of course, we are not forgetting home users and students who require data recovery. We have served customers from Indonesia, Thailand, Hong Kong, China, Japan and even from USA and Europe. If you have a data recovery need, please contact us for a solution. OUR BUSINESS IS YOUR DATA AND YOUR DATA IS OUR BUSINESS!